When you are a college student, you have to put up with many essay writing assignments. While you might be tempted to jump right into the task, you should never underestimate the importance of an essay outline. What is an essay outline? The answer is simple - the outline for an essay is a general idea or plan that gives your writing assignment focus and organization. In this article, we will discuss how to make an essay outline that results in a well-written paper. When you have been assigned an essay, you will quickly find that the process can be a real challenge. But writing an effective essay outline can go a long way towards solving the problem. In particular, the outline allows you to organize your thoughts in a well-structured way, present your arguments or ideas in a more logical manner, make the thesis clearer, and prevent the paper from going off track. Ultimately, if you have a good outline, the reader will be able to understand exactly what you are trying to convey. In addition, how you structure your essay will depend on how you write the outline. Even before you get to the outline writing stage, it is important that you understand the purpose of your essay. What does your professor want you to achieve? Are you attempting to persuade an audience? Are you writing a narrative? Or are you providing an objective description about a process? Once you figure this out, it is time to write the outline. The first step is to obviously choose a topic. Once you have figured out what your instructor is expecting, do some brainstorming, make a list of ideas, and settle on a topic that is relevant and worth discussing. The best way to stay motivated is by selecting one that is personally interesting to you while staying within the guidelines of the assignment. After you have chosen the topic, think about the purpose that the essay will serve. Also think about the audience that it is intended for. Finally, do some research and identify some of the strongest arguments or main points that will allow you to carry out your objectives. Now that you have a topic and understand the audience and purpose of the task, it is time to develop a compelling thesis. It should only be one or two sentences long and should state a problem or argument that you intend to solve or defend. Make sure to choose a thesis that is accurate, clear and related to the overall topic. Once you have completed these steps, you can now proceed with the outline. There are two primary essay outline formats that you can opt for: decimal and alphanumeric. The former exclusively uses numbers while the latter - which is more common- involves Roman numerals, Arabic numerals, and both capital and lowercase letters. We hope you find this information useful. Of course, if you need a helping hand, SupremeEssays.co.uk is eager to assist. 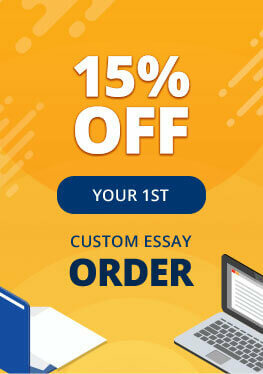 If you need a high quality outline to get your essay started, we have a team of professional writers with the experience and expertise to accomplish the task. We can handle any topic or academic level and deliver it on any deadline. 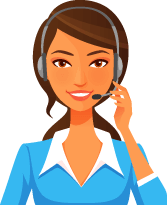 Just get in touch with our friendly customer support team and let us get started! At SupremeEssays.co.uk, the key to our success is by providing trustworthy services at some of the best prices on the market. We understand that most college students are on a budget, which is why we go out of our way to make our custom outline services accessible to everybody. But do not confuse low prices with low quality. We maintain the highest standards of quality while keeping costs down. The result is an outline that meets your expectations and helps you create an essay that gets top grades. We take pride in the fact that we hire writers who are knowledgeable and have great passion for what they do. Their goal is to help you get better grades while freeing up your time to focus on the things that matter most. Whenever a writer applies for a job at SupremeEssays.co.uk, they undergo a rigorous screening process. We make sure they have strong English writing skills, relevant degrees, and deep knowledge in the various fields of academia. Every order that they complete is given a rating, and the best writers are rewarded with generous bonuses. This keeps them motivated and drives them to achieve great things for our customers. Fill out the order form, providing us with details such as the academic level, the word count, level of urgency, and any other requirements. Make a secure payment via credit card or PayPal. Once it has been verified, we will assign your outline to the most qualified writer on our team. Your outline will be checked for plagiarism and quality by our editors. Once the deadline for your order expires, you can download it from your account. Ordering an outline is simple and convenient! With SupremeEssays.co.uk by your side, you will never have to worry about your academic writing assignments ever again. So get in touch with us today and place that order.